Sustainable Smith is a new website that features the latest information on how sustainability is being incorporated across Smith’s campus and throughout the curriculum. 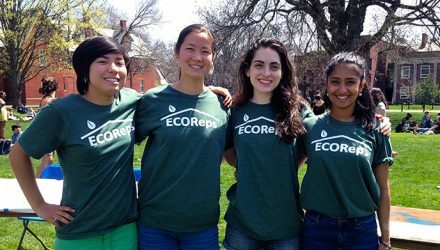 The site will include stories of the many ways Smith students are making an impact, the latest information on campus sustainability and planning and event notices. 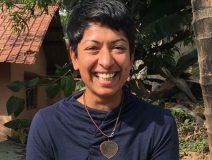 Inspired by the tenets of design thinking, Nirupa Umapathy ’02 left a lucrative career on Wall Street to lead a more authentic life. She is sharing her tips for remaking your life in a Feb. 14 webinar, “Life Design 360: Designing a Blueprint for Integrated Living.” Read her story. 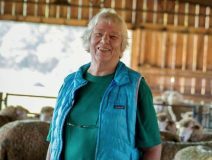 Lila Wilde Berle '58 is a devoted sheep farmer. But she is also dedicated to preserving her corner of the Berkshire mountains and the cultural institutions she holds dear. “I’ve been a risk-taker from day one," says Berle, "and I jump in when I really care about something.” Jack Shonkoff, head of Harvard's Center on the Developing Child, will deliver a Presidential Colloquium titled “Leveraging 21st-Century Science to Advance Social Justice” at 5 p.m., Thursday, Feb. 15, in Weinstein Auditorium, Wright Hall. The event is open to the public at no charge. In his new book, Happier? 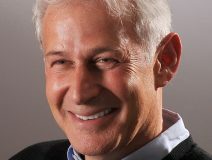 The History of a Cultural Movement That Aspired to Transform America, Daniel Horowitz, Smith professor emeritus of history, explains why American preoccupation with happiness has grown while our actual happiness has declined. More than 20 alumnae of color will offer workshops, presentations and discussions at the 2018 “Smith College Women of Color Conference: Persistence, Possibilities and the Power of Our Voices,” being held on campus April 13–15. Keynote speakers are diplomatic entrepreneur Farah Pandith ’90, cultural innovator Verna Myers, author and scholar Juana Maria Rodriguez, and Smith School for Social Work dean Marianne Yoshioka. Register now for this exciting event and connect with distinguished alumnae, faculty and students of color. BUSINESS INSIDER: Prof. Andrew Zimbalist: Will the Olympics go away?